Click any image of this 1989 Pontiac Firebird Trans Am to engage HD Image Gallery. For sale in our Chicago showroom is this incredible 1989 Pontiac Trans Am Turbo 20th Anniversary. Pontiac sure got it right with this version of the Trans Am. With a unique Turbocharged 3.8 Liter V6 shared with the Buick Grand National, this Bird is ready to go! Pontiac under-rated these boosted T/As at 250 HP and 345 lb ft of torque. These super sixes could get to 60mph in 4.6 seconds and through the 1/4 mile in 13.4 seconds. A few minor modifications make this ‘Bird a fair amount quicker, and you are sure to be surprised at what it can do! It is rumored that this was the first pace car that needed no performance modifications in order to keep up. They simply installed a light bar and the communication equipment and got it out on the track. This particular example is a well maintained 3 owner car with only 24,569 miles. This car has a larger-diameter stainless steel exhaust which sounds incredible. The vehicle drives as tightly as you'd expect for such a low mileage vehicle. The white paint is in great shape as well as the tan leather interior. It sports the OEM desirable “Honey comb" wheels in gold, which show wonderfully. This modern classic is a collectible as well as a great car to drive. The handling performance is enthralling and the rush of the turbo is exhilarating. Hold on tight when driving this turbo-bird! 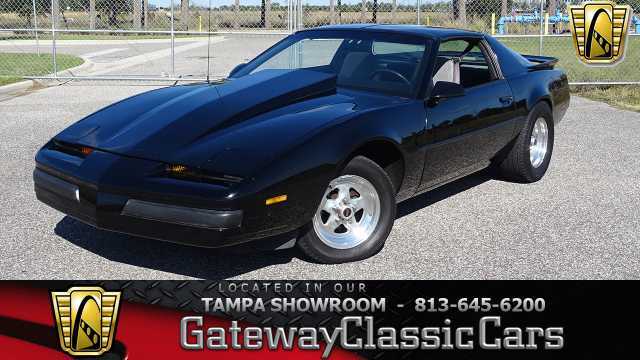 With plenty of power on tap at the rear wheels of this powerful Pontiac, and being such a low-mileage example, this Firebird is going to keep you smiling for a long time! 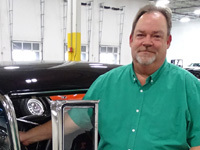 Options include: AM/FM Radio, Spare Tire, T-Tops, Cruise Control, Power Steering, Power Locks, Power Windows, Tilt Wheel, Power Mirrors, Leather Interior, and a Positraction rear axle. For more information on this incredible 1989 Pontiac Firebird Trans-Am 20th Anniversary Edition Pace Car, contact our Chicago showroom at (708) 444-4488 or Chicago@GatewayClassicCars.com. 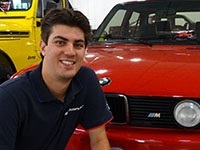 To see more HD photos and an HD video of this vehicle running and driving, please visit www.GatewayClassicCars.com.